VulTech® GS-650VA - Uninterruptible power supply (UPS) is designed to protect your peripheral devices from any type of irregularities in the mains, such as lightning bolts or other atmospheric agent. 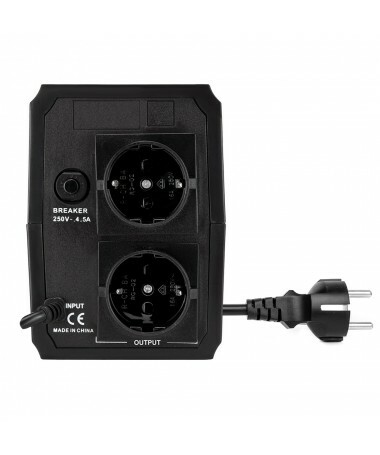 Provided with 2 Schuko sockets in the rear panel which allow you to connect PC, monitor and other peripheral devices, avoiding additional cables. 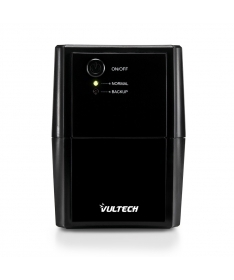 The UPS offers high protection on PC, monitor and external storage support connected to it against mains anomalies. 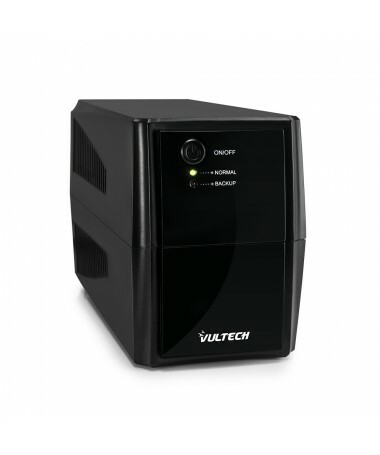 In the event of problems in the mains, the UPS immediately starts working avoiding data loss or sudden interruptions of the devices connected to it. 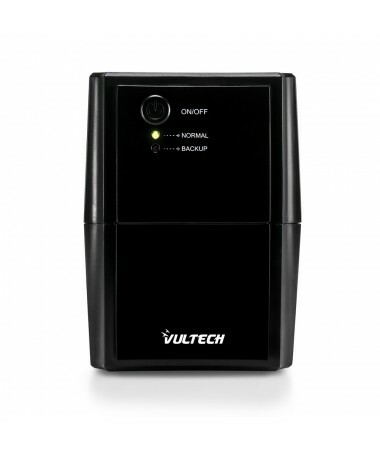 An acoustic alarm warns the UPS active operation and gets loud as the battery is gradually running out. The automatic restore activates when the mains is re-established (except for battery end of life). Reaches a 650VA output power and a maximum autonomy up to 15 minutes*. Overload function allows the voltage and battery intelligent control. *the duration can vary according to the UPS power absorption.